Children's Healthcare of Atlanta is a not-for-profit organization that provides specialized care to kids from all walks of life—but we don’t do it alone. The mission of the Children’s Healthcare of Atlanta Foundation is to make kids better today and healthier tomorrow through the philanthropic support of individual donors, charitable foundations and corporations. 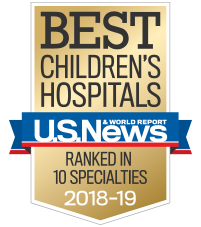 Every day, lifesaving work happens at Children’s Healthcare of Atlanta—from pediatric cancer treatments and organ transplants to fracture care and appendectomies. The Children’s Foundation relies on volunteers in the hospitals and in the community. Each year, in-hospital volunteers donate more than 127,000 hours of their time and community volunteer groups raise millions for Children’s through fundraising activities and events. As a not-for-profit organization dedicated to providing high-quality pediatric care to the kids in our community, we depend on the generous support of donors to help uphold our mission and perform the work we do each day. We are grateful to all of our donors for their support. Children’s Healthcare of Atlanta is a 501(c)(3) organization, gifts to which may be deductible as charitable contributions for federal income tax purposes. Check out our publications for patient stories, news about donors, events affiliated with Children's and more. The Children’s Foundation Board oversees awareness, engagement and fundraising for our organization. Trustees are comprised of highly respected and influential corporate and community leaders, personally dedicated to upholding the Children’s mission. Annual Trustee expectations include cultivating donors, attending and hosting donor events, and making a significant personal gift to Children’s. CEO, Superior Plumbing Services Inc.